Conference on March 30! Click here for details. 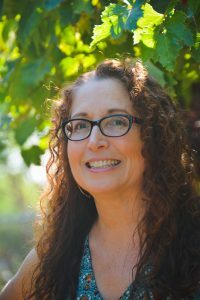 The Department of History and Political Science prepares students to pursue advanced study in history, law, international relations, journalism, or numerous other professional fields. Our programs train students to investigate complex problems, identify reliable sources, analyze information, and communicate conclusions in a clear and thoughtful manner through advanced writing skills. Courses are also offered in Political Science. 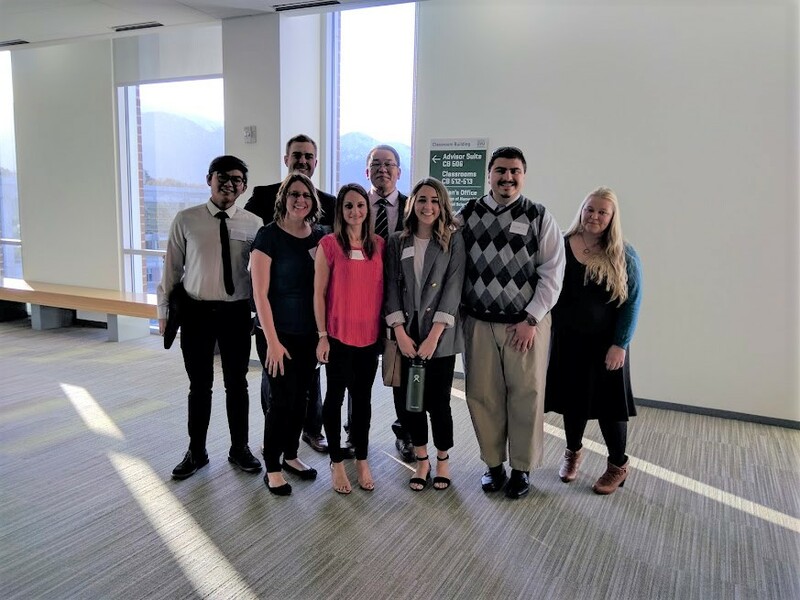 The department sponsors a chapter of the Phi Alpha Theta history honor society, along with an annual History Distinguished Lecture. Click here to learn about the many career opportunities available to our students. Don't miss the second annual History Distinguished Lecture, featuring Dr. Lori Clune, Associate Professor of History at Fresno State University! Dr. Clune will be speaking on Monday, February 25, at 7:00 PM at the Dunford Auditorium. The topic of her lecture is "Cold War Diplomacy: Global Reaction to the Rosenberg Case." 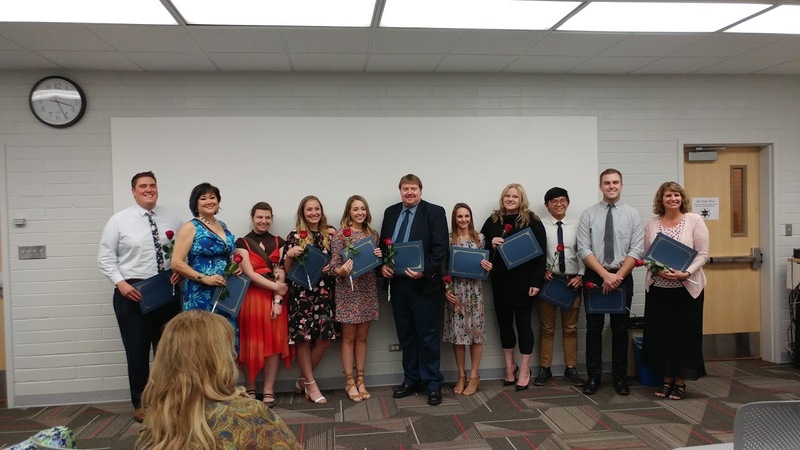 On April 6, eleven students were inducted into the Alpha Omicron Chi chapter of Phi Alpha Theta. We are very proud of them! Saturday, March 31 -- a department record. Next year, we'll be hosting the Regional Conference here at DSU! History Night was March 7! 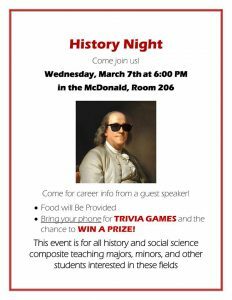 Over 20 majors, minors, and prospective majors enjoyed food, prizes, trivia games, a guest speaker on careers in history, and an opportunity to gather socially with faculty. 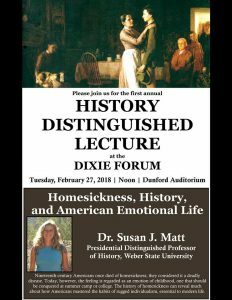 Dr. Susan J. Matt, Presidential Distinguished Professor of History at Weber State University, delivered the first annual History Distinguished Lecture on February 27. She also met with students from HIST 2710 and Phi Alpha Theta. 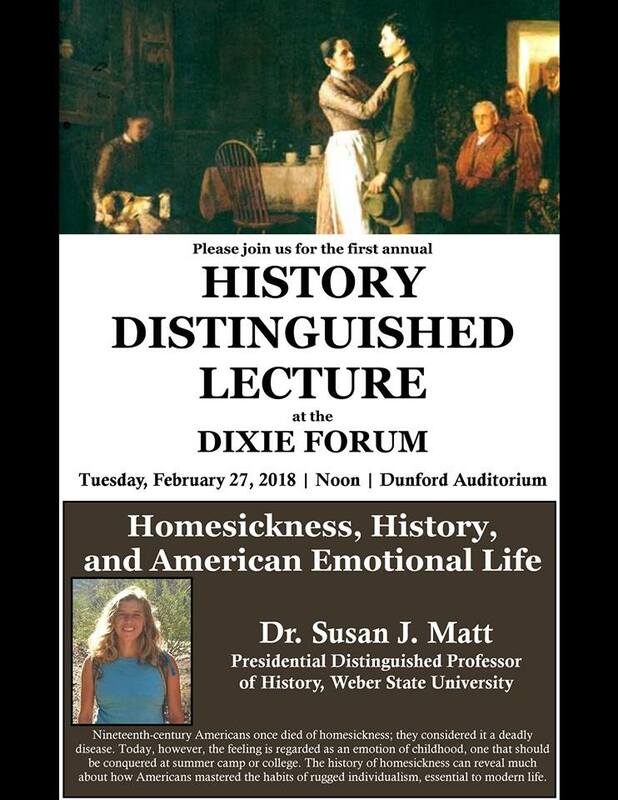 The event, co-sponsored by the Dixie Forum, received coverage in the Spectrum and St. George News.